Yesterday I noticed that our baby swing was swaying a little slower than usual. I know that this means that in a few pounds or a few weeks, Hayden will be too big for the swing. Here am I again, facing putting away forever, a baby item that we would not have survived without. If you think you don't need a swing please reconsider. This was a gift from my aunts and to this day, we silently thank them for the baby swing. 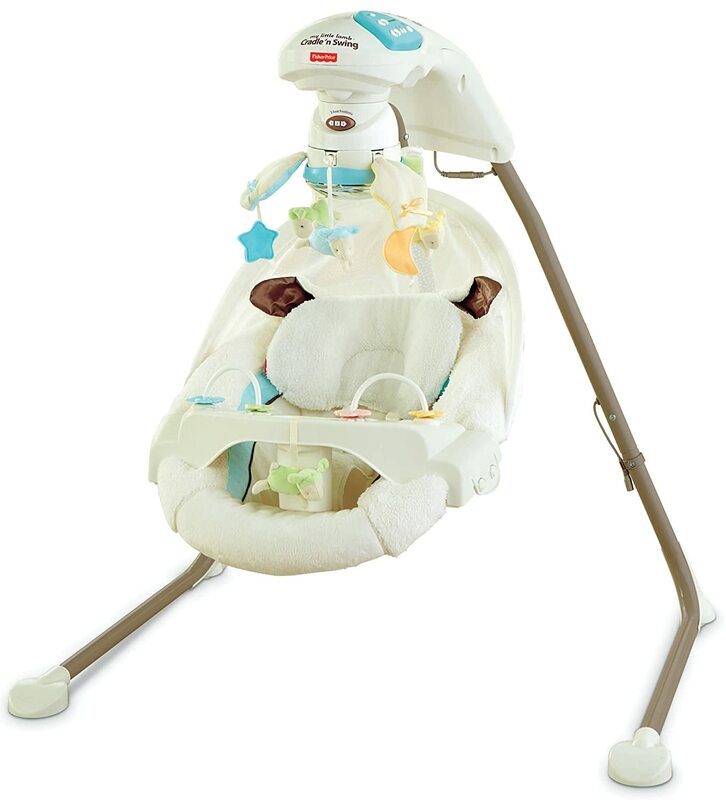 This swing is awesome and has great features. The mobile keeps babies entertained and so does the removable tray. We never had an issue, both our girls loved the swing and when Hayden had colic the swing eventually became our biggest ally. I am not going to sell this swing. I am going to hopefully pass it down to my baby sister. I hope one day to see more babies in this and to once again be comforted by the sound of a swaying baby! If you are registering for a baby shower and you are wondering about a swing, this is the one. It has a great price and great features. We actually have 2 different swings because we have one at my mom's house for the baby but this is my favorite. Here are my sweet girls, enjoying the swing! And now Hayden is the occupant, the swing for her was magic at some points. I think that this swing looks awesome! I love the features that it has. I especially love that you can run it on battery power or plug it in. When my kids were little, we only had the option of using batteries and the swing took "D" batteries (which of course, are really expensive). Thanks for the review! The Mom stays in the picture..